Having a nice, sturdy and accurate measurement that you can use in the kitchen is one of the best methods for the food preparation easier and faster. 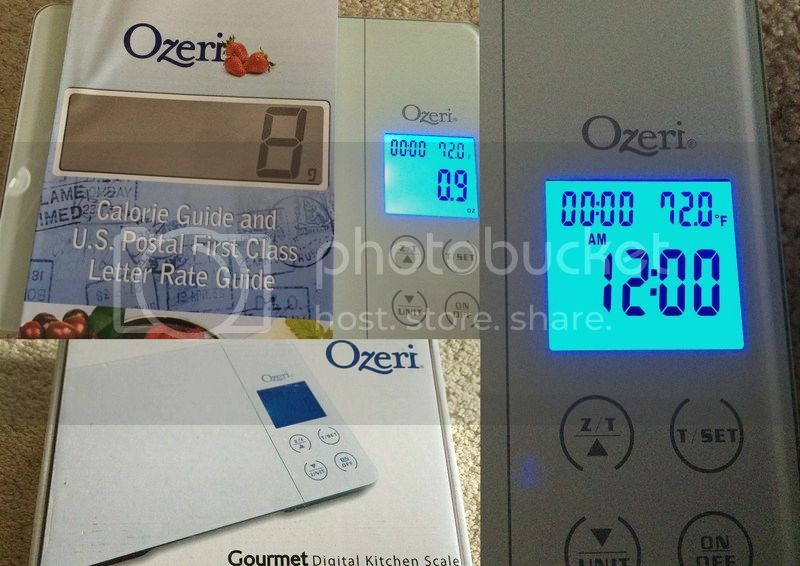 I have the opportunity to review one of Ozeri's nice Gourmet Digital Kitchen Scale with Timer, Alarm and Temperature Display today. I'm ecstatic when I received the product through the UPS. I don't see any signs of damage in the product due to shipping that I was able to examine and use it right away. The product came with a 3 AAA batteries that I can use for the digital scale. I like its uniquely designed wide tempered glass platform that would provide an oversized weighing area coupled to 4 high-precision GFX sensors (accurately weighs 0.4 Oz to 11 lbs or 1 g to 5000 g). I liked the lightweight and sturdy digital scale as well. So far this product is amazing, very accurate in measurement. I like this product and will definitely be able to have my baking and cooking better now that I'll be able to use a digital scale that is accurate. Did I mention that it also comes with a Calorie guide and U.S. Postal First Class Letter Rate Guide? YES!!! Isn't that fun, if you wish not to go to the post office to mail something in a letter rate on the back of the guide would help you figure out the right weight and you can order the stamp online. Very simple and quick. Also the scale does have a time, alarm and room temperature. So many things it can do aside from just giving the right accurate weight. I love it, I have to say this scale makes things even simpler and better for me.